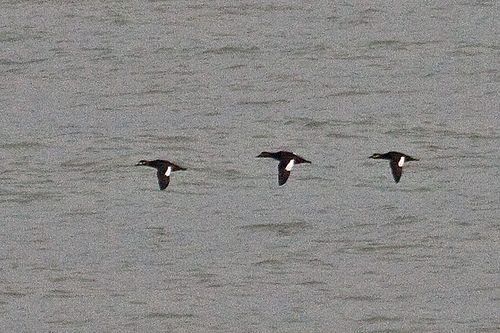 The Velvet Scoter is occasionally seen on the North Sea, often in larger groups of Common Scoters. The Velvet Scoter has a white eyepatch and white spots on the wings. 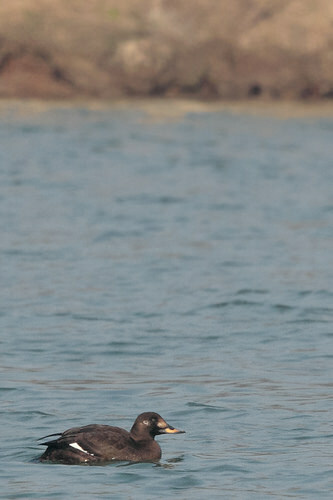 The Common Scoter is completely black.